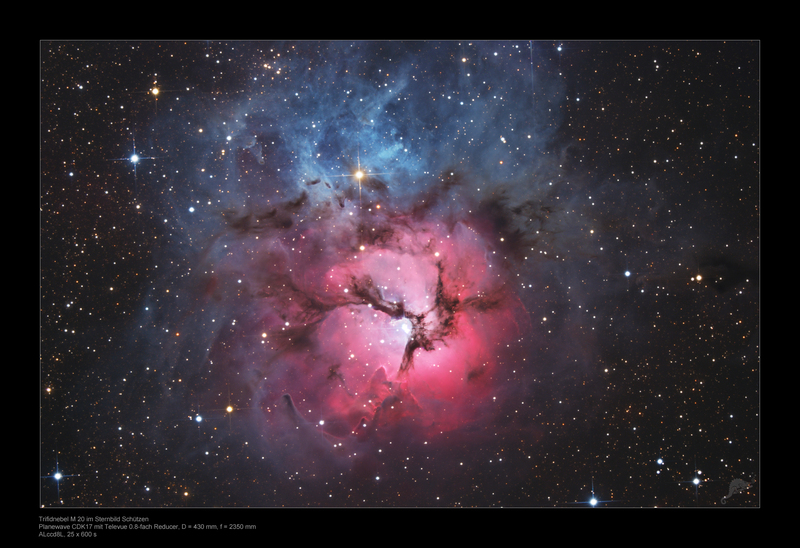 The Trifid Nebula in the constellation Sagittarius is one of the absolute highlights in the sky. 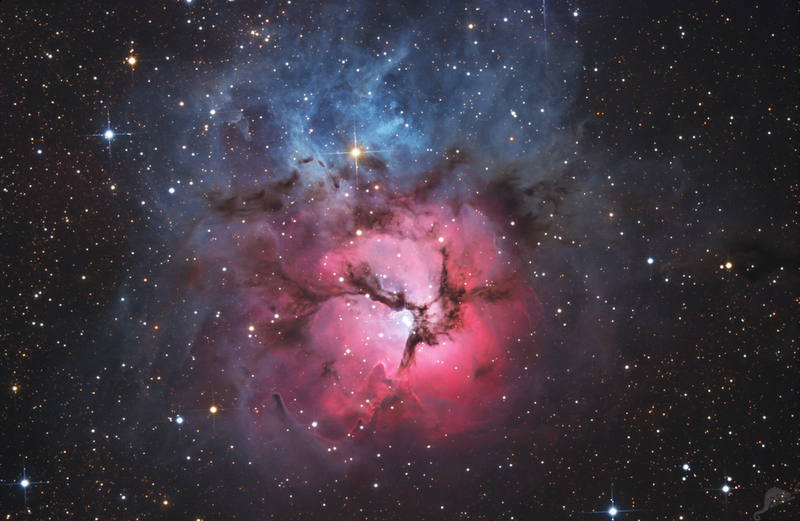 The combination of red emission nebula, blue reflection nebula and dark clouds form one of the most beautiful nebula region in the southern Milky Way. The hot blueish O7 star HD 164492 ionizes a nearly spherical part of the nebula resulting in its reddish glow. Further outwards, the energy of the star is not strong enough to ionize more gas. These parts form the blue reflection nebula, which completely surrounds the inner emission nebula. The dark clouds divide the inner emission nebula into three parts which are responsible for the name of the nebula. 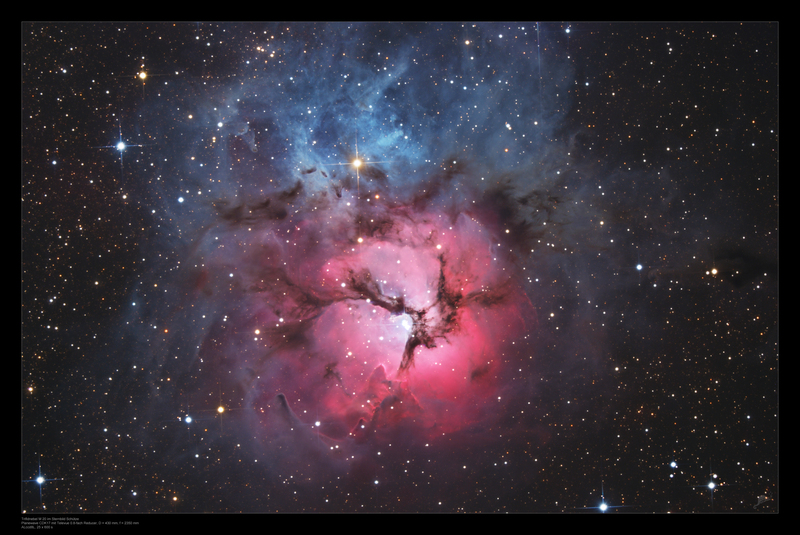 M 20 is about 5200 light years away from the Earth. It covers almost the area of the Moon in th esky. 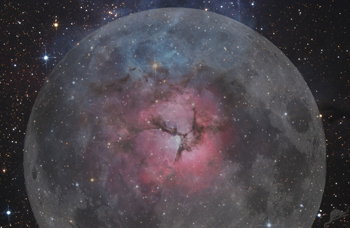 For a comparison with the size with the Moon please click here or the thumbnail image.